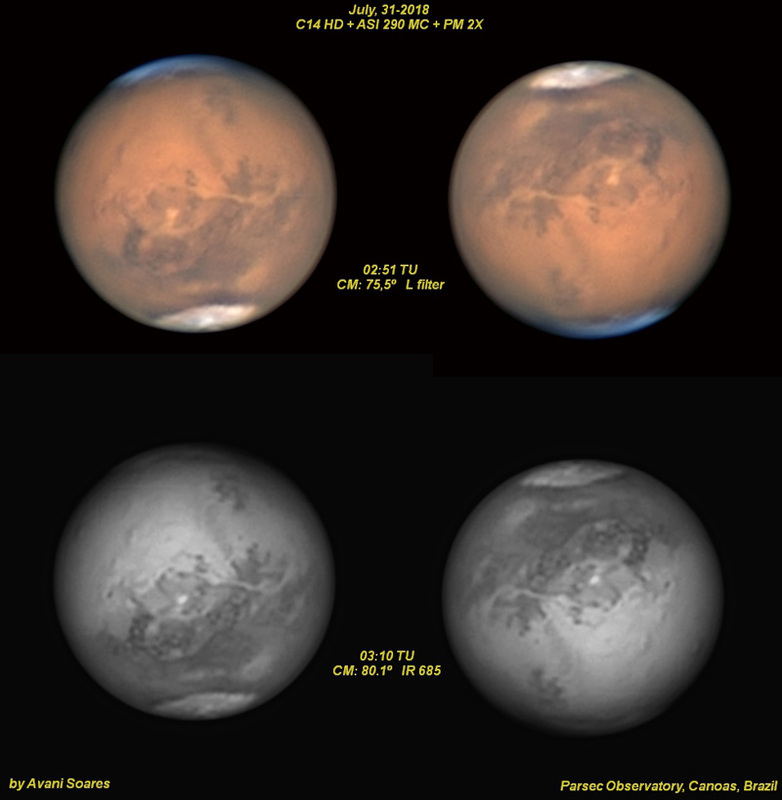 It's been a great year for planetary observers and imagers! One after another, the three bright major planets Jupiter, Saturn, and Mars reached opposition from early May to late July 2018. Planetary imagers have been busy this summer collecting data and processing some fantastic images of these three fascinating worlds. 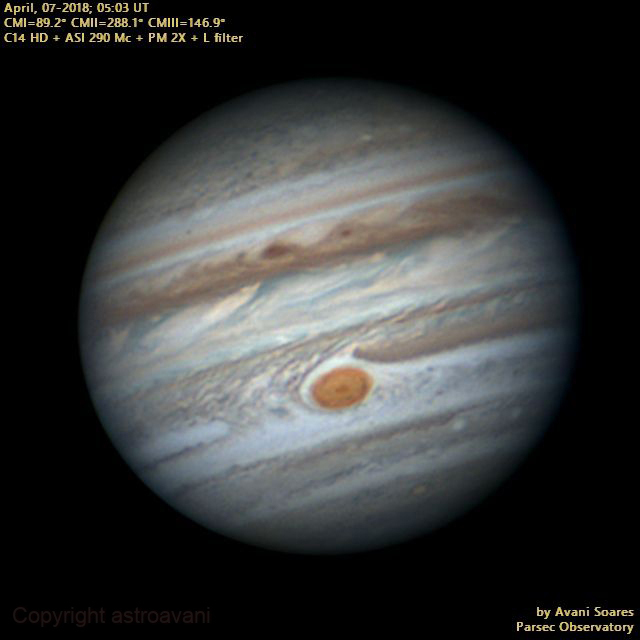 Here's a collection of recent images collected by amateur astronomers from around the world. Jupiter reached opposition on May 9, 2018 in the constellation Libra. The planet reached a maximum apparent size of 45" and a maximum brightness of -2.5. 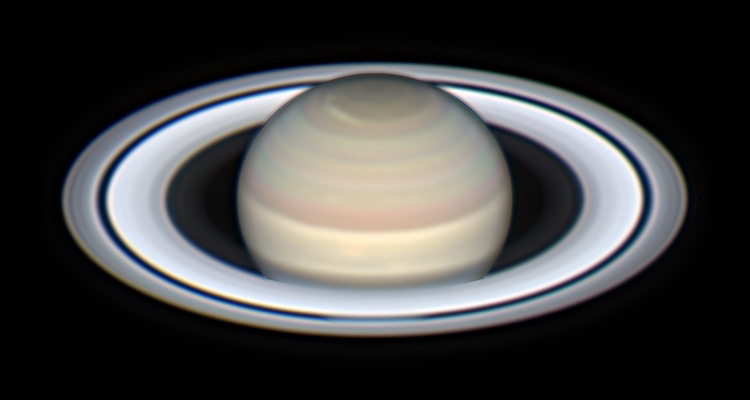 Northern observers had a challenge this year as the planet was some 15 degrees south of the celestial equator, but many imagers, including those featured below, still captured some great shots of the biggest of planets. 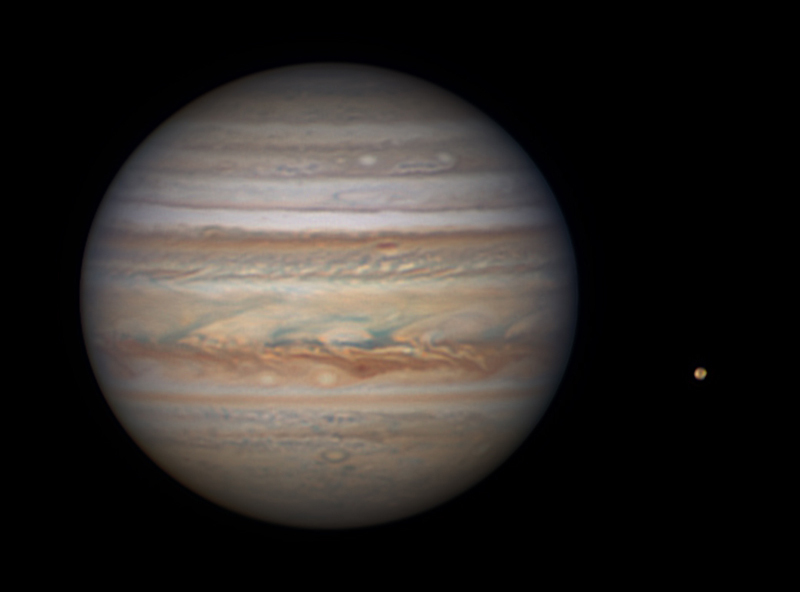 The next opposition of Jupiter is on June 10, 2019. 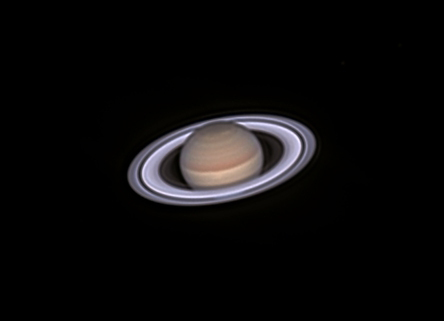 Saturn reached opposition on June 27, 2018 in the constellation Sagittarius. The planet reached a maximum apparent equatorial size of 18.4" and a maximum brightness of 0.0. As with Jupiter, northern observers had a challenge this year as the planet was about 22 degrees south of the celestial equator. The rings were tilted dramatically this year at an angle of about 25 degrees which made this beautiful planet exceptionally photogenic. 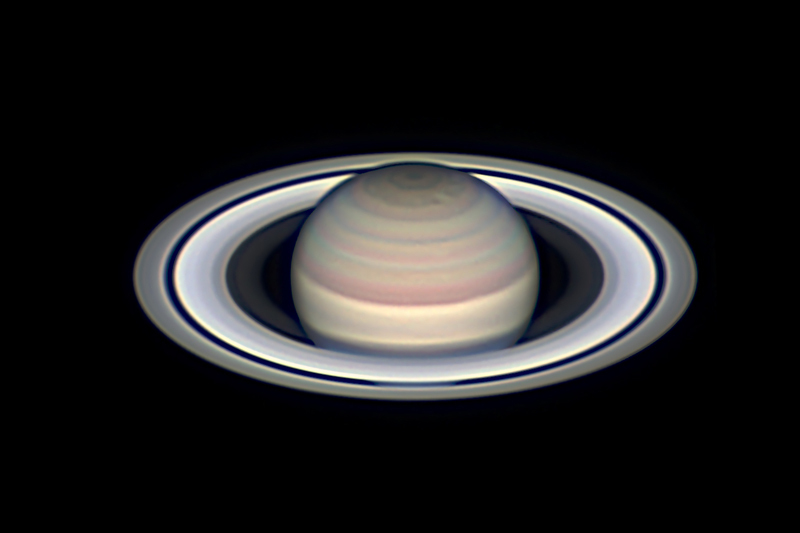 The next opposition of Saturn is on July 9, 2019. 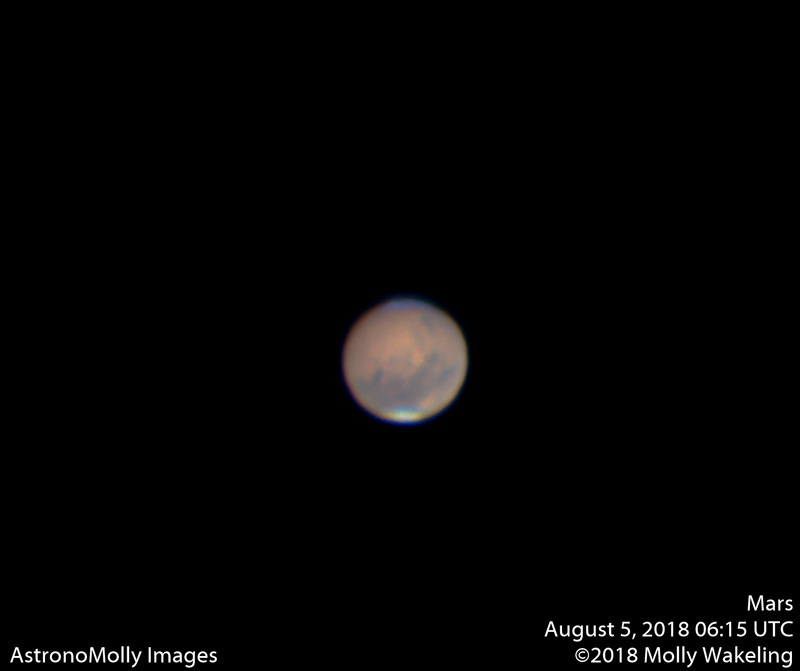 Mars reached opposition on July 27, 2018 in the constellation Capricorn. This was the best Martian opposition in 15 years.The planet reached a maximum apparent equatorial size of 24.3" and a maximum brightness of -2.8. As with Jupiter and Saturn, northern observers had a challenge this year as the planet was about 25 degrees south of the celestial equator, almost as far south as it ever gets. To make matters worse, a planet-wide dust storm obscured many features in the days leading up to the opposition. But patience and good equipment helped serious imagers get some great shots of Mars this year. The next opposition of Mars is on October 13, 2020.